Des Ward disassembling panels on a classic Maserati restoration. All bodywork defects are expertly repaired by the team of experts in Auto Restorations’ autobody panel shop. New panels are made up in steel or aluminium, repair patches are welded in place. Louvres can be made in engine bonnets. With a close eye to the fit and finish of their work, doors, boot lids and bonnets are expertly fitted to achieve perfect alignment and even gaps, one of the more challenging aspects of automobile restoration. 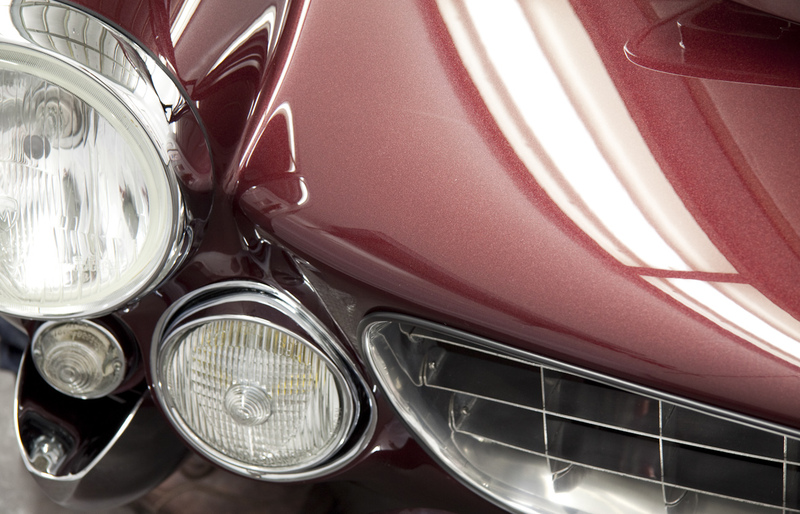 1963 Ferrari 250 GT Lusso, bonnet detail shot in the paint booth.